Whimsical Ideas by Pam - Summer 2016 Collection - Polish Etc. Today, we are taking a look at a new Summer collection from an indie brand that is very nostalgic for me. Whimsical Ideas by Pam was one of the first indie brands that I bought from as a fledgling nail polish collector. She had the cutest little bottles and always had really creative polishes. I always look forward to seeing her new collections even though I haven't ordered from her in a while. So, I was flattered when Pam asked me to review her new Summer 2016 Collection! There are six polishes in this collection, all of them are a different finish. They are available now to order, so let's take a look! General Swim - A bright blue creme. The name and the color definitely remind me of childhood days spent at the community pool. This shade of blue actually does well year round. The formula was nice and pretty smooth. I am showing you two coats with a glossy top coat here. 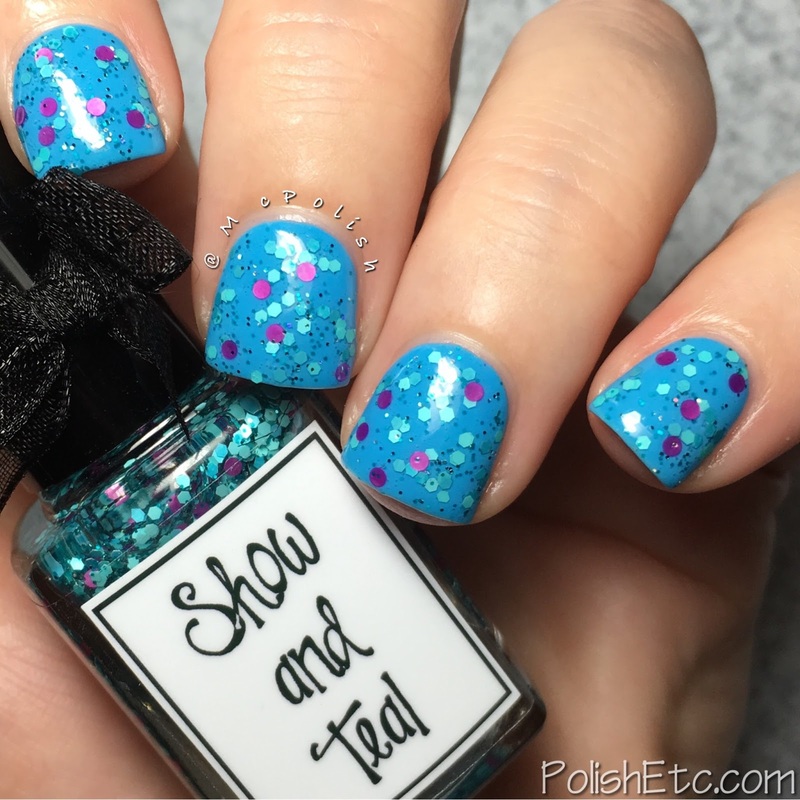 Show and Teal - A clear based glitter topper with small magenta dots, small aqua hexes and a sprinkling of tiny teal microglitters. 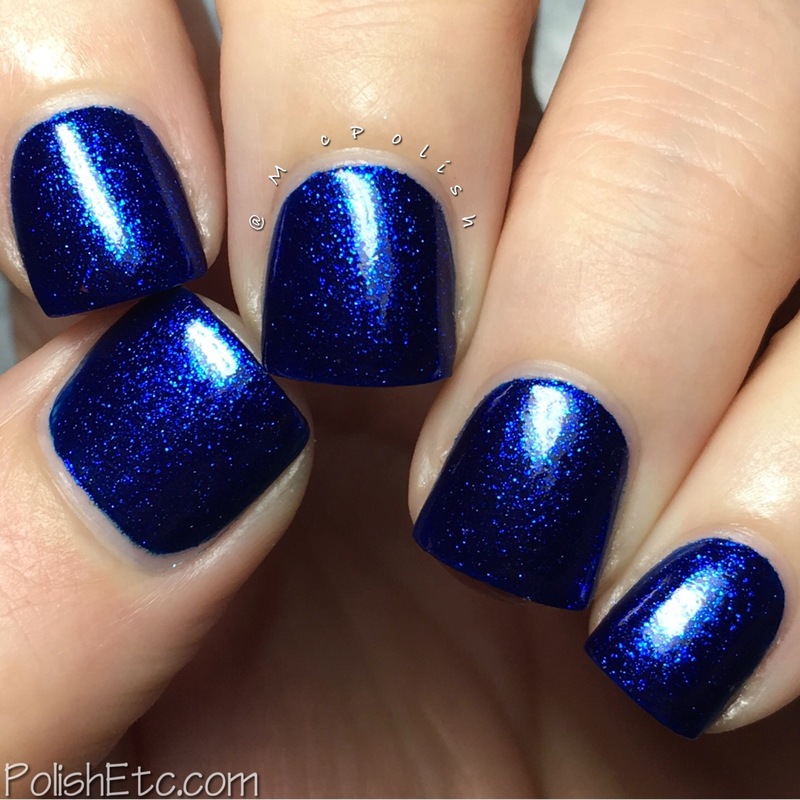 This is a nice glitter topper with good glitter payoff in one coat. I did not have to fish around for glitters here. I am showing you one coat over General Swim here. 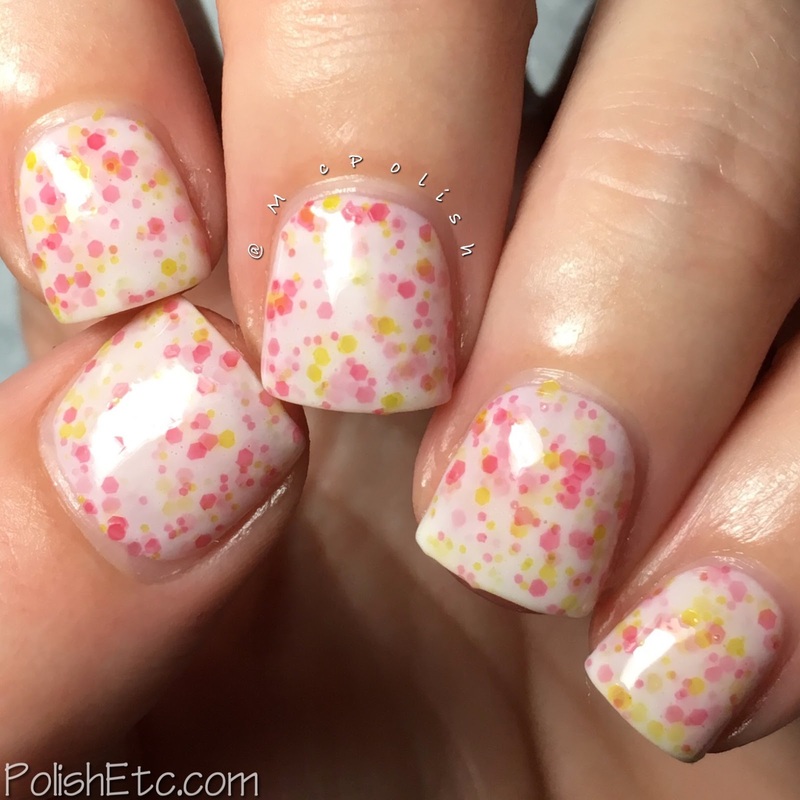 Strawberry Fields - A milky white crelly packed with semitransparent pink and yellow glitters. Wow! I really, really like this one. I have seen a ton of white crellies with glitter in my day but this one is quite unique because of the transparency of the base and glitters. It's great. I used two thickish coats with a glossy top coat here. You may like three thin coats as well. Really Ethereal - A milky jade jelly base with a bright pink microflakie shimmer. This one is quite sheer. Even with three coats, my nail line is quite visible. The color combo of the base and shimmer are very interesting but the large amount of flakie shimmer makes this polish a bit streaky. It is very pretty but I didn't love this one as much as I thought I would. It is definitely ethereal though! 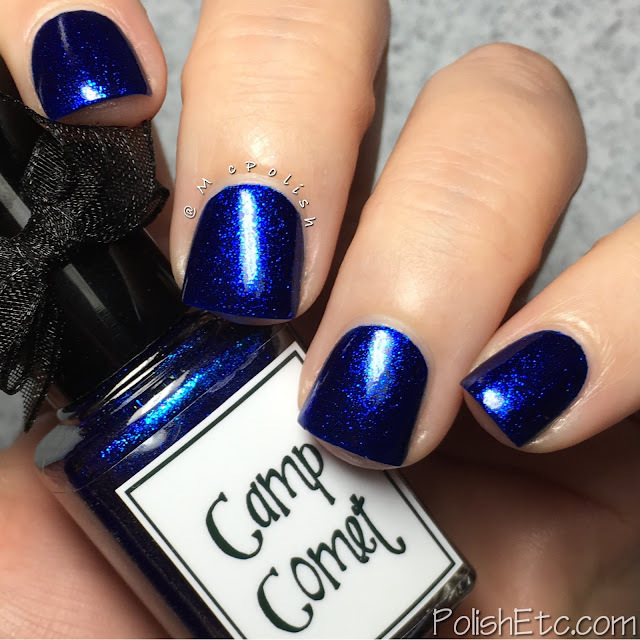 Camp Comet - A deep primary blue jelly with tons of bright blue shimmer. Wowza! This baby is fantastic. It is dark yet bright at the same time. The formula is perfect. I am showing just one single coat with a glossy top coat here. One Coat! It does dry a little dull on it's own, so a glossy top coat is recommended to bring out #datshimmer. This is sure to be a crowd favorite! 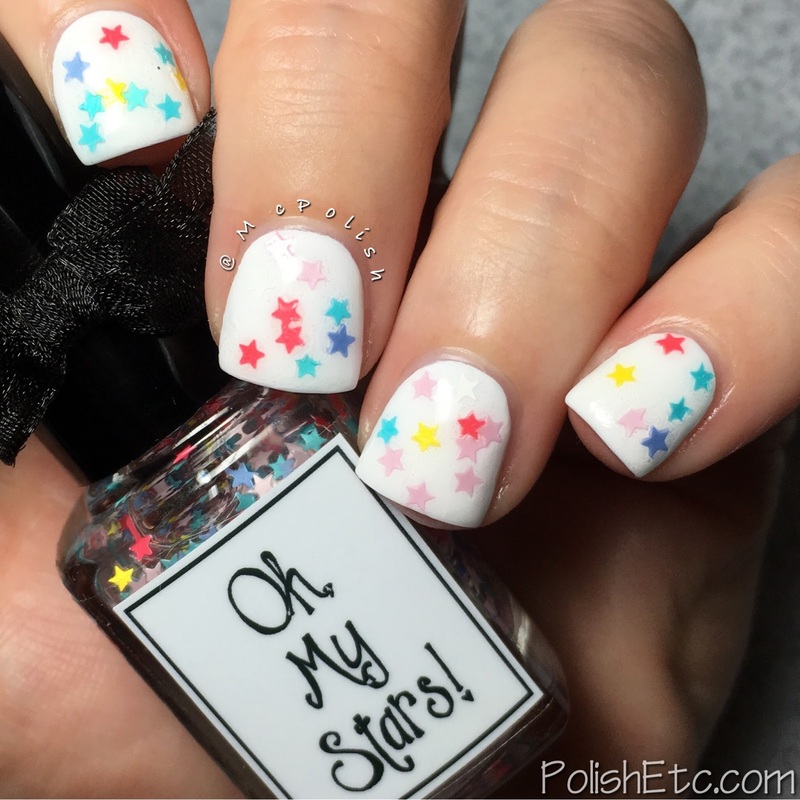 Oh My Stars! 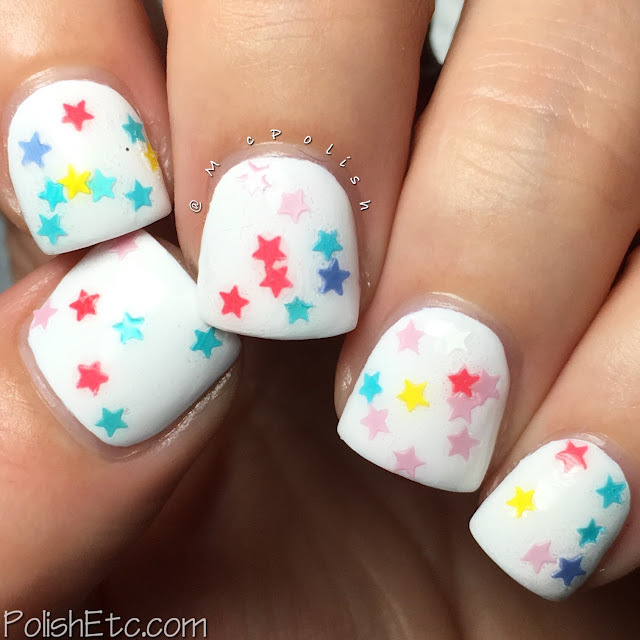 - A mix of pastel star glitters in a clear base. This is a fun novelty glitter topper. There is a lot of base in this polish so you will need to swirl the brush around to get out a lot of little stars. Or you can sponge them on if you want a ton of stars on your nails. Pro-tip: lay down a layer of top coat over your base color before adding the star glitter. You will be able to manipulate them star around without dragging your base color with it. I, sadly, did not follow my own pro-tip and got a little of my white base mixed in with the stars. What do you think of this collection? My fave is definitely Strawberry Fields but Camp Comet is a close second. 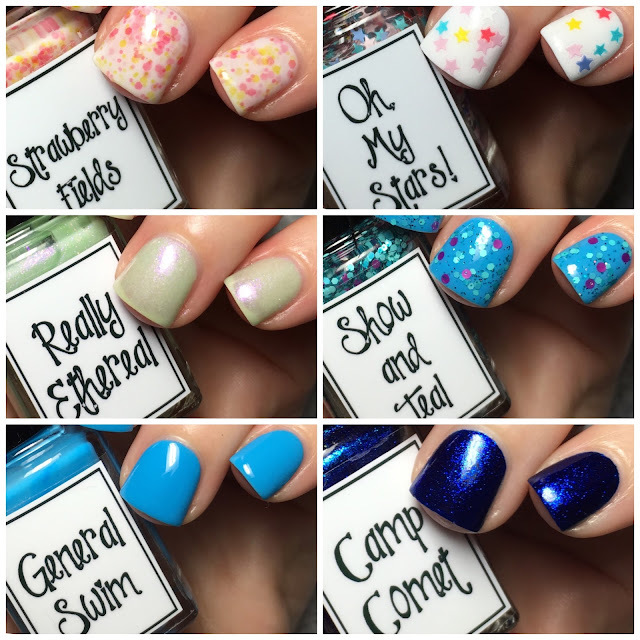 Whimsical Ideas by Pam polishes are sold strictly via email orders. You can get all of the ordering info from their Facebook page. There is also an album there with all of the current Whimsies available. All polishes are $10 each. Isn't Camp Comet to die for?!? One of my favorite Whimsies ever! One coat?!?! I mean that is amazing. Your favorites are my favorites too. :) So cute!